travelled north and no vehicle was found in the area. No personal property was found in his possession and no personal effects were found near his body. A 35cl bottle of Glen Rossie Whisky, which is a relatively inexpensive brand, was located to near where he was washed ashore. A pale blue blanket was also found in the area which is currently being forensically examined. Mr Mattan was identified through DNA and his brother has been in contact with police in the Northern Constabulary area in an effort to trace his last known movements. Police are appealing for bed and breakfast and hotel owners throughout Scotland, in particular the north of Scotland, to come forward if they believe Mr Mattan stayed at their establishment. In addition they are appealing to lorry driuvers who may have picked up someone matching his description. He may also have visited licensed premises in the areas where he stopped and police are asking people to contact them if they believe Mr Mattan may have been in their establishment. * Blue boxer shorts blue cotton small size no makers label thereon. He is described as 58 in height, black short hair, clean shaven, slim build, approx 72kg in weight, tanned/sallow complexion/possibly olive skinned. His age has been estimated as 38 42 years. He has no operation scars, tattoos or distinguishing marks and no personal items were found on the body. It is understood that Mr Mattan's father, MOHAMMED HUSSAIN MATTAN, believed to be originally from Somalia, was the last man to be hanged in Cardiff Prison in 1952 and his family successfully appealed against this and won their case in 1998. Anyone with information on Mr Mattan is asked to contact the police on 01463 715555. A photograph of Mr Mattan is available - please email your address to mail@northern.police.uk and a pic will be sent to you. He is described as 5ft 8 in height, black short hair, clean shaven, slim build, approx 72kg in weight, tanned/sallow complexion/possibly olive skinned. His age has been estimated as 38 42 years. He has no operation scars, tattoos or distinguishing marks and no personal items were found on the body. Police have estimated that the body was in the water for possibly no more that 1-2 days and can reveal that body samples have been obtained so that DNA profiling can take place. They are also in the process of circulating the mans details through National Missing Persons Helpline and National Missing Persons Bureau as well as through Interpol and UK Police Forces. All shipping movement within the Pentland Firth going back over the previous week including the movement of shellfish from Scrabster to foreign parts by lorry has been monitored and local enquiries with B & B establishments, hotels restaurants and other agencies is taking place. Port authorities at Scrabster have been contacted and shoreline searches looking for any items of property that have been washed ashore and any vehicles that may have been left have also taken place. Police are appealing for anyone who may recognise the description of the man, the clothing or who may have information on this person to contact them at any police office. Police at Thurso have this afternoon made a further appeal for information following the discovery of a man's body yesterday at West Murkle near Thurso. 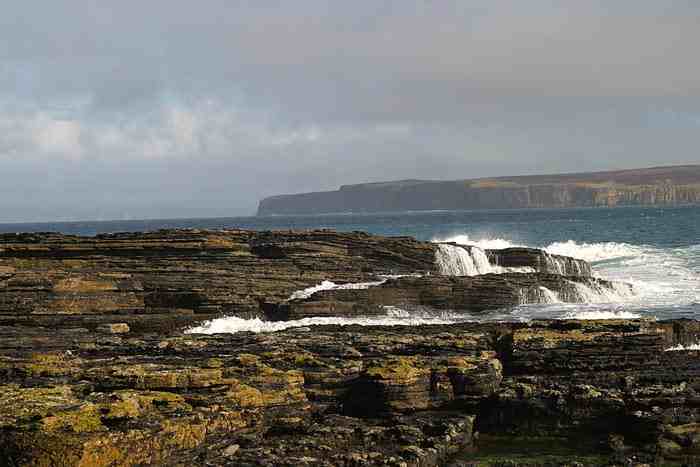 In particular, the officer in charge of the enquiry is seeking assistance from the public who may have been in the Clarndon Haven area on the coast between Thurso and Castletown over the weekend. The area is popular with walkers and fishermen and Police are asking those members of the public who were in the area on Friday, Saturday or Sunday to contact them. No cause of death has as yet been established and police are likely to make a further appeal tomorrow following the Post Mortem. Anyone who has any information is asked to contact Police at Thurso on 01847 893222. This incident is not connected with the loss of William Taylor from the boat Boy Ritchie a couple of days ago off Noss Head.